The past month has been a blur. Thought I'd get the next blog post out a week after my last one on July 22nd—silly me. A million balls in the air as I get last minute things for the trip, squeeze in another riding lesson—I did my first tiny cavaletti jump and STAYED ON ( party hat and confetti ) and am loving this new 2-point going fast thing once I got used to it. 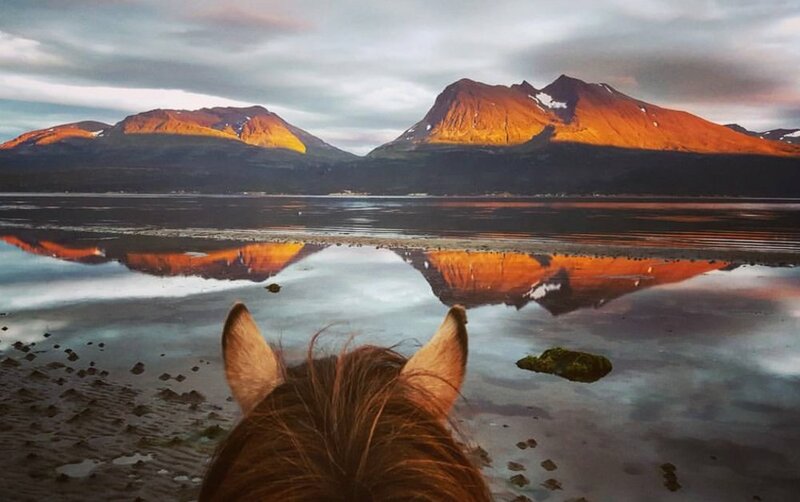 This morning I was texting with my dear friend Jenni, ( check out her gorgeous horse photography here ), who has graciously agreed to join me on this trip, asking how she was doing with packing and final details before we leave on Tuesday. We've been planning this trip for nearly six months and I confessed I was a bit panicked and felt like I was throwing a giant dinner party but hadn't even started planning the menu let alone the grocery shopping. And that I needed more wine. Another friend reminded me that we never really feel ready for anything in life, which was exactly what I needed to hear today, as I was nearly hyperventilating how I was going to get everything done in the next 24 hours. Tomorrow I try to fit 44 lbs of gear for 12 days into a waterproof duffel bag ( I got this spiffy Patagonia duffel that should work well in the wooden canoes that they transport our gear to camp ), tidy up a few client projects, pay some bills, set up auto-reply on my emails, call the bank and phone company to let them know I'll be out of the country so they don't freeze my accounts thinking it's some sort of international heist, confirm someone will be fetching us from the airport when we arrive in Maun in Thursday, kiss the horses, goats, dog, kitties, and chickens good bye, and fall asleep grateful that I have a husband who has been so supportive of this trip, as I leave him to do all the work and take care of everything and everyone at Camp Dahms while I go off galavanting on this once in a lifetime adventure—fingers crossed nobody dies while I'm gone. I've been fortunate to have the fabulous coordinator/marketing specialist/spirit guide at African Horse Safaris, Isabel Juby, taking care of all the flight arrangements, which is no small task and for which I'm immensely grateful. It's a long haul from Seattle across the globe. We fly non-stop from Seattle to Dubai, 26+ hours then six hour layover where we'll be taking advantage of the spa and private showers in the airport. Then a four-and-a-half hour flight from Dubai to Johannesburg, followed by a one and-a-half-hour flight on a small jumper plane from Johannesburg to Maun, for a total of 32-1/2 hrs in the air, arriving Thursday afternoon. In Maun, we rest for 24 hours at a lovely little spot I found, called the Kraal Lodge, where they fetch us from the airport, take us back to the lodge where we have dinner and try to fend off the jet lag, before we meet our guides and the ponies the next afternoon for Day One. One of the things that's going to be interesting, is this is the first time I've visited a different hemisphere, and as we are just beginning to feel the first signs of autumn here in the Pacific Northwest, the first signs of spring are happening in Botswana. Interestingly enough, the temperatures are almost comparable to what we've recently been experiencing the past month here on Vashon Island: highs in the 80's and lows in the mid 50's with virtually no chance of rain. This is a good thing especially since we will be without electricity so will be relying on solar panels and rechargers to keep our cameras and devices going. From the sounds of things, internet connectivity is spotty and we will likely be out of range a good part of the time, so you may not be hearing from me much once we take off on the actual ride on Friday, but I will try to post a bit during the flight and once in Maun, to let you know when we've arrived. A few bits of last minute advice from my doctor, who will be traveling to Kenya in a few weeks: boil it, peel it, cook it, or forget it as far as what to eat. Or not. Don't pet the dogs, unless they are pets in the lodges or stables, and perhaps the best bit of advice from my old friend author of the Road Kill Cookbook series, Brian Peterson, Keep in mind that Africa is not a large petting zoo. Wish us luck! And don't forget, African Horse Safaris is offering a $100 discount towards booking your own safari, just mention "LBTE$100Discount" when you contact Isabel. You only live once! And again, Thanks to all YOU guys for voting for me back in February—I love the tribe we've created and getting to know so many of you from around the world. The past few weeks the weather has been glorious, truly high summer here in the Pacific NW, so I've been trying to take advantage of the long, cool evenings and logging as many hours in the saddle as possible. It feels great after having much of the winter off and a slow start to spring riding. I knocked around on horses as a kid off and on, and even spent a fair amount of time moving cattle on a family ranch in Eastern Oregon for a time, but it wasn't until I was in my late 40's that I got my first horse as an adult, and started taking dressage lessons. Having never explored jumping or eventing, meant I also never learned to ride two-point. Had I began riding much earlier in life, I fairly certain I would have pursued eventing, but getting a late start, and coming into riding having broken my back that year ( yes, on my first ride in 20 years—eye roll ) it wasn't something that seemed smart to pursue. I wanted to ride, but I didn't want to be stupid. After a few lessons the past few months with my old trainer and friend, Jen Verharen, I've been learning the basics of two-point. It felt counter-intuitive to get up out of the saddle and off the horse's back compared to riding dressage where the goal is to keep your seat connected to the horse. My first lesson was hilarious—I couldn't stop posting at the trot. And laughing. But after a few more weeks of practice, I'm even getting the hang of it at the canter. Not completely comfortable or confident yet, but getting there. As proof, my thighs and calves are feeling it. I hope to be able to try and keep up as we canter through the water of the Delta. And stay on. The Okavango Delta in Botswana is a very large, swampy inland delta formed where the Okavango River reaches a trough in the central part of the basin of the Kalahari Desert. All the water reaching the Delta ultimately evaporates and transpires, and does not flow into any sea or ocean. Each year, about 2.6 cubic miles of water spread over the 2,300–5,800 square mile area. Some flood waters drain into Lake Ngami. The area was once part of Lake Makgadikgadi, an ancient lake that mostly dried up nearly 11,000 years ago. The Moremi Game Reserve, a national park, is on the eastern side of the Delta. The Delta was named as one of the Seven Natural Wonders of Africa, which were officially declared on February 11, 2013, in Arusha, Tanzania. On 22 June 2014, the Okavango Delta became the 1,000th site to be officially inscribed on the UNESCO World Heritage List. The Okavango is produced by seasonal flooding. The Okavango River drains the summer ( January–February ) rainfall from the Angola highlands and the surge flows 750 miles in about one month. The waters then spread over the area over the next four months ( March–June ). The high temperature of the delta causes rapid transpiration and evaporation, resulting in a cycle of rising and falling water level that was not fully understood until the early 20th century. The flood peaks between June and August, during Botswana’s dry winter months, when the delta swells to three times its permanent size, attracting animals from miles around and creating one of Africa’s greatest concentrations of wildlife. The Okavango Delta is both a permanent and seasonal home to a wide variety of wildlife. Species include the African bush elephant, African buffalo, hippopotamus, lechwe, tsessebe, sitatunga, blue wildebeest, South African giraffe, Nile crocodile, lion, cheetah, leopard, brown hyena, spotted hyena, springbok, greater kudu, sable antelope, impala, south-central black rhinoceros, southern white rhinoceros, Burchell's zebra, common warthog, chacma baboon, and vervet monkey. Notably, the endangered Cape wild dog survives within the Okavango Delta, exhibiting one of the richest pack densities in Africa. The delta also includes over 400 species of birds, including African fish eagle, Pel's fishing owl, crested crane, lilac-breasted roller, hammerkop, South African ostrich, and sacred ibis. "Get back to nature and journey through Africa’s Eden, enjoying the simplicity of our new ride in the Okavango Delta. With no vehicles involved, and working in partnership with the local community, we can guarantee a genuinely environmentally-friendly safari. Enjoy spellbinding scenery, exciting riding and spectacular game viewing, without worrying about your carbon footprint. Stripping back to the bare beauty of fly-camp safaris, means that you will truly embrace Africa’s wilderness, and enjoy the exclusivity of a private, personalized camp set far out in the bush. From Maun Airport it is only a 30 minute drive to the southern end of the Okavango where the safari begins at the so-called “buffalo fence”. Here, the patient horses are waiting for you. After the luggage has been loaded onto mekoros (small wooden canoes) to be transported to camp, you will mount up and venture out on horseback for your first experience of the Delta. Exploring this water wilderness on horseback is absolutely exhilarating, and each wildlife encounter will fill you with awe. In the saddle and high above the tall grasses, game viewing is exceptional; you can see giraffe, elephant, buffalo, zebra, many species of antelope and sometimes even hyena, lion or wild dog. The Delta is also renowned for some of the best bird watching in the world so make sure you bring your binoculars. You will be ticking off bucket-list moments left, right and centre as you come across your first elephant, enjoy a water canter, or watch the sun go down over the horizon without another soul in sight." • Riding through the untouched scenery of the Okavango Delta, without another soul insight. • Long free canters across the plains and splashing through flood waters. Feel free to contact Isabel Juby, of African Horse Safaris with any questions if you have any inkling to do this. You only live once and none of us are getting any younger! Mention special discount code "LBTE$100DISCOUNT" for $100 off. Thank you to Roeckl for providing me with these spiffy summer "Laila" gloves. 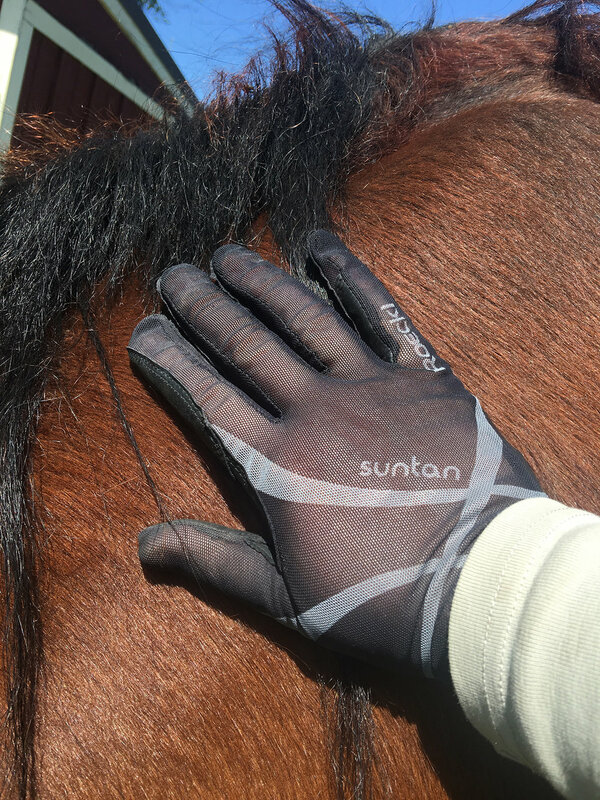 These are my new favorites: suntan™ mesh on top and micro-air on the palms— slightly tacky with just enough grip. Light and airy and perfect for my trip to Botswana. I'm bringing two pair. 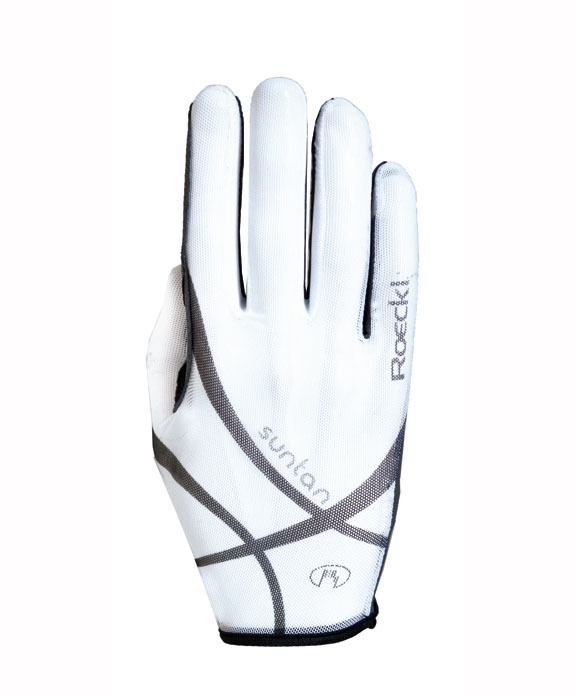 Roeckl Laila Glove —win a pair by tagging two friends on this photo ( coming soon ) on Life Between The Ears Instagram or Facebook pages, and following Roeckl Equestrian Instagram or Roeckl Equestrian Facebook to be entered into a drawing on Saturday 7/28. Thanks reading and being out there. And thank you to my sponsors African Horse Safaris, Ride Botswana, Roeckl Gloves, and Think Tank Photo. Next week I'll share some information on the solar device chargers I'm bringing, after I test them out. Don't forget to pop on over to my Instagram and Facebook pages to enter to win a pair of the spiffy Roeckl gloves! Have a great week and Ride On! If you've been following my Instagram and/or Facebook accounts, you've probably seen some of the safari photos I've shared with surprisingly close up shots of giraffe, elephants, lions, hippos, and even hyena. Many have asked how do the horses handle that kind of pressure and not turn and bolt. It wouldn't be unusual for my pony, for instance, to have a melt down over a fluttering plastic grocery bag on the trail, but *these horses seem to take it all in a day's work. I asked African Horse Safaris to share a little bit about how the horses and how they are typically trained and desensitized. "Many of the horses at Ride Botswana are well-bred, Thoroughbred X heavier breeds, ie. Shire, Friesian, Clydesdale. The kind and quieter temperaments of the heavier horses and the agility of the Thoroughbreds make for a perfect safari horse. Other horses are 'bush horses' with no specific breeding, but bred for their hardiness and sensible nature in the bush. There tends to be a similar theme throughout many riding safaris in Africa. Horses are schooled until they are comfortable under saddle, listening to the aids, and we are confident they are ready to be ridden out in the open. With Ride Botswana, the stables are based in a smallish reserve which is home to many different antelope, zebra, giraffe, ostrich, monkeys etc. Often these animals come right up to the stables so horses start to become accustomed to seeing them. Funnily enough it is giraffe that the horses find the hardest to get used to (we think its something to do with the fact they look like a moving tree). Horses are turned loose in the reserve so they become used to sharing space with them. They will then start to be ridden around the reserve as they can often react differently when under saddle and to start building up their fitness. Horses should be schooled a 2-3 times a week, taken on fitness rides (walk, trot and long canters) and given a day off each week. Once they feel horses are safe and up to fitness they will start being used for safaris and day rides. Having spent time amongst the game in the reserve they will be used to seeing a lot of the smaller game. When it comes to elephant, a lot of the older horses in the string will be used to seeing them so this will help keep a calm atmosphere amongst the herd while the younger/newer horses get used to seeing and being around them. It is important that they do not panic. The same applies to lion, although they tend to be kept at a further distance for obvious reasons!" And of course made sure I was up to date on my Tetanus. The Marlaria pills are an antibiotic and I start taking those a day or two before we leave, continue to take them while on the trip, and continue for four weeks after returning. A heads up, many insurance companies won't cover traveller's immunizations so be prepared to pay out of pocket. I think I mine were about $250 total, plus an office visit with my doctor. Feel free to email Isabel Juby at African Horse Safaris, directly, if you have any questions. She is not only knowledgable, but super patient and has answered about 179 of my email questions and still seems to like me. Go figure. Mention this code to Isabel: LBTE$100DISCOUNT to receive $100 off your booking. And alternatively, if you voted in the Instagram contest, remember, you receive 10% OFF your booking for entering. It will be a trip of a lifetime! Next week I'll be sharing with you, more about the Okavango Delta. Have a great week and see you soon. Welcome to our newest wholesale client, St. Croix Saddlery, in Hugo, Minnesota! I ordered a lovely stock pin from them when I started showing 10 years ago and they carry great lines and their customer service was so helpful and kind. LBTE Cover Story in Style Reins Magazine! Honored to have Life Between The Ears included in Style Reins summer issue! 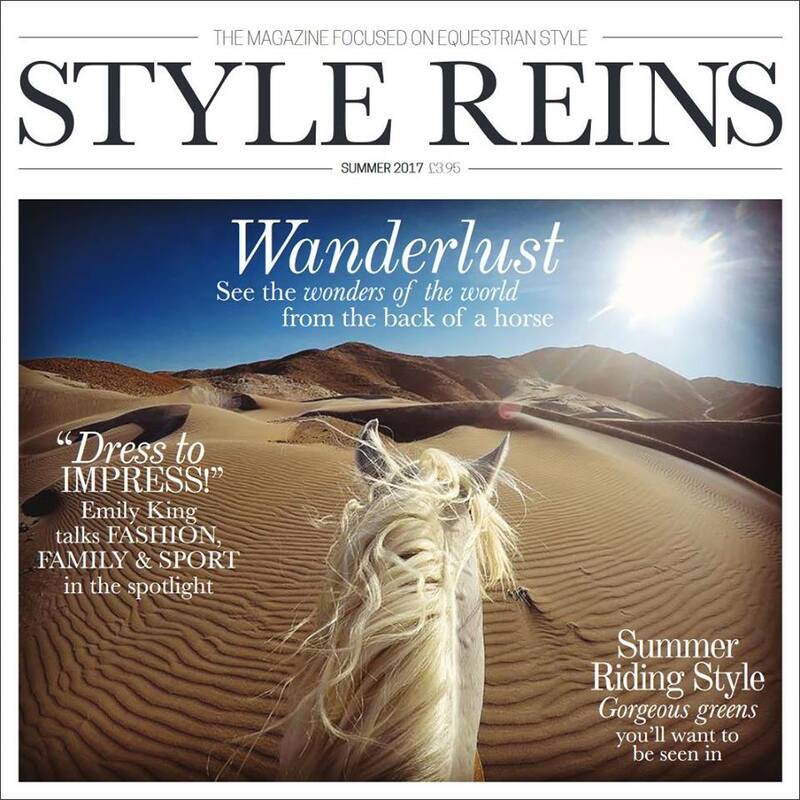 If you've wondered what the back story of how LBTE began, you can download your *FREE DIGITAL SUBSCRIPTION* here on the Style Reins site: www.StyleReins.com/magazine. Cover photo by longtime LBTE contributor, Francesca Cavallero Belon in Peru. Thanks to 🔷 @bayleyann034 🔷, aboard her gorgeous warmblood in the Adirondaks in Upstate New York. Hope everyone had a nice Labor Day weekend in the US and here's to a productive four day week ahead. What a way to wrap up these last days of summer with a bit of madness. This totally made my day. Thanks to 🔷 @jopyeee 🔷 Jo Pye for catching this great shot of 🔷 @ana.welshc 🔷 on her wonder Welsh C pony, Blythe. Thanks to 🔷 @s_biddles.nz 🔷 Sally Biddlecombe for sharing her view where they filmed part of Lord of The Rings. Glenorchy is a small settlement at the northern end of Lake Wakatipu in the South Island region of Otago, New Zealand. It is approximately 45 km (28 mi) by road or boat from Queenstown, the nearest large town. There are several pubs, a café and a range of small shops in the town catering mainly to tourists but also to the small resident population. There is also a small airstrip which caters to small planes. The local scenery was used as one of the settings in the first of Peter Jackson's Lord of the Rings films [ The Fellowship of the Ring (2001)]. Lothlórien, Orthanc, and the scene where Boromir was slain and leant near a tree were a few that were shot in nearby Paradise. Vertical Limit (2000), The Chronicles of Narnia: Prince Caspian (2008), and X-Men Origins: Wolverine (2009) were also filmed in the area. Thanks to 🔷 @_emmiiillyyy 🔷 near the Canadian/US border near Montana. This is the first I've heard of this nature reserve. Writing-on-Stone Provincial Park is located about 100 kilometres southeast of Lethbridge, Alberta, Canada, or 44 kilometres east of the community of Milk River, and straddles the Milk River itself. It is one of the largest areas of protected prairie in the Alberta park system, and serves as both a nature preserve and protection for a large number of aboriginal rock carvings and paintings. The park is important and sacred to the Blackfoot and many other aboriginal tribes. The park has been nominated by Parks Canada and the Government of Canada as a World Heritage Site. Its UNESCO application was filed under the name Áísínai’piwhich is Niitsítapi (Blackfoot) meaning "it is pictured / written". The provincial park is synonymous with the Áísínai’pi National Historic Site of Canada. Thanks to 🔷 @tesscohen 🔷 Tess Cohen of Jackson, Wyoming for reminding us of the national treasures we are fortunate to have with our @nationalparkservice, who today, celebrates their 💯 birthday! On August 25, 1916, President Woodrow Wilson signed the act creating the National Park Service, a new federal bureau in the Department of the Interior responsible for protecting the 35 national parks and monuments then managed by the department and those yet to be established. This "Organic Act" states that "the Service thus established shall promote and regulate the use of the Federal areas known as national parks, monuments and reservations…by such means and measures as conform to the fundamental purpose of the said parks, monuments and reservations, which purpose is to conserve the scenery and the natural and historic objects and the wild life therein and to provide for the enjoyment of the same in such manner and by such means as will leave them unimpaired for the enjoyment of future generations." Today more than 20,000 National Park Service employees care for America's 400+ national parks and work with communities across the nation to help preserve local history and create close-to-home recreational opportunities. Thank you to one of our feature photographers on the Life Between The Ears notecards: Adeline Broust Tiede🔷 @abtiede 🔷 from Tromsø. 👌🏼 Tromsø, a city in Norway, is a major cultural hub above the Arctic Circle. It’s famed as a viewing point for colorful Northern Lights that sometimes light up the nighttime sky. The city’s historic center, on the island of Tromsø, is distinguished by its centuries-old wooden houses. The 1965 Arctic Cathedral, with its distinctive peaked roof and soaring stained-glass windows, dominates the skyline. Good night fromthe west coast of the US and thank you 🔷 @mollyflanegin 🔷. Have a great new week!